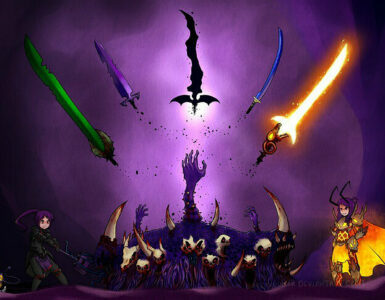 Have you ever wondered what classes are in Terraria? Have you just been picking out random weapons without knowing how to utilize all of them to their full potential? 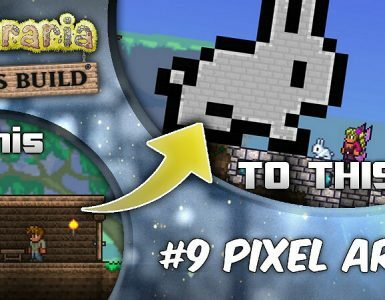 This guide will go over the basics of the classes of Terraria. While this guide is sure to help you with choosing a class that benefits your playstyle, it is not exactly perfect. Nothing can be perfect in life or on the Internet, would you not agree? Refrain from using negativity or attacking others in the comments. While this may be the Internet, we can still all show respect! I’m very late on this, but, even in 2018, we can all be better people. Feedback and constructive criticism are strongly encouraged. Any comments that are otherwise pointless shall be purged. Please do not add me to your friend’s list. I recommend you read my profile bio for more information on that subject. Thank you for your cooperation, and enjoy the guide! The Warrior is a melee class who prefers to charge into battle headstrong. 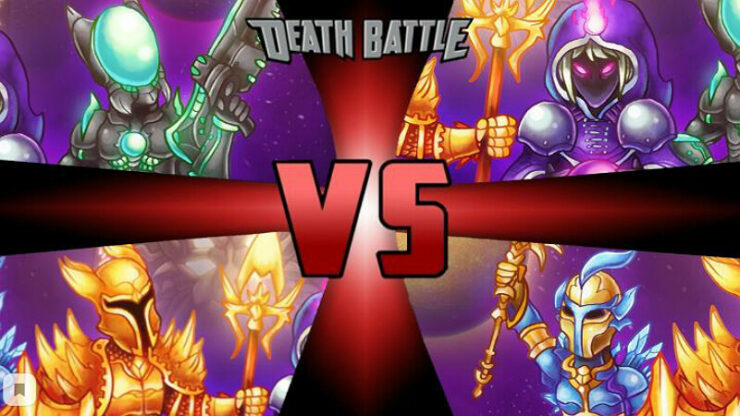 Warriors are known for being able to dish out damage as well as soak it up, hence their high defense. 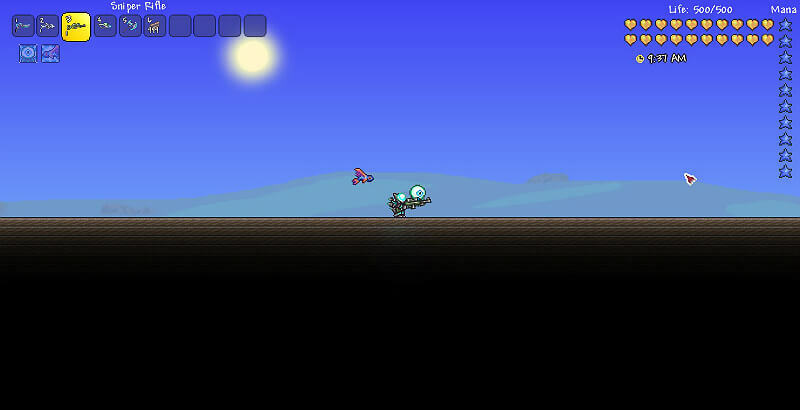 The Warrior class is easy to learn, but however, in Hardmode, bosses such as the Lunatic Cultist and Moon Lord will be hard to kill due to being out of range of a Warrior’s melee weapons, but the Warrior can craft powerful weapons in the late game which will allow them to hit enemies further away and dish out more damage. Since Warriors are “bulky attackers”, any armor with good defense that benefits melee attacks would be suitable. Any good Warrior knows that the Warrior Emblem is crucial in their build, as it increases their melee damage by 15%, further increasing to 19% when reforged to Menacing. Other accessories affecting melee attacks should also be used in a build. However, there are also other pathways, sub-classes, a Warrior can branch towards. The Yo-Yo Warrior is an example of one of these sub-classes. The Yo-Yo Warrior, as its name mentions, slings yo-yos, whose range surpasses swords, but not even close to the range of a few other classes, whose range can extend past the screen. Yo-Yo Slingers heavily rely on yo-yos to strike their enemies down. A yo-yo itself can be used to keep enemies at bay while the Yo-Yo Warrior eats away at their HP, or it can be used to retreat when things get ugly. Yo-yos can hit multiple times, but cannot pass through solid blocks. The optimal choice of armor for any Yo-Yo Warrior would be a Warrior set, along with a Warrior Emblem, since all yo-yos inflict melee damage. Accessories that benefit yo-yos should also be used. In short, Warriors are tough and can take a beating and can branch to several sub-classes, each with their own benefits. As a Yo-Yo Warrior, accessories that increase melee speed will slightly increase the range of your yo-yos. However, if you equip tons of accessories that increase melee speed, it can have diminishing returns if you don’t balance them out with accessories that increase damage output. In the early game, shortswords attack fast, but are relatively weak in damage and range, and are not recommended to take on bosses. On the other hand, broadswords are quite versatile, at the cost of some melee speed. Spears have longer range than swords and can knock enemies back quite a lot! Boomerangs can be thrown at distant enemies, effectively keeping them at bay so you can protect yourself or your friends. If yo-yos don’t strike your fancy, try using a broadsword or a spear in addition to a boomerang. Furthermore, if you can get your hands on one, an Enchanted Boomerang will give you an early edge! Some hardmode armors and accessories increase your aggro, making enemies more likely to target you. In singleplayer, aggro most likely won’t matter as you’ll always be attacked by enemies, but in multiplayer, having high aggro is crucial to keeping your teammates alive, especially in Expert-mode worlds, where enemies and bosses alike hit harder! Although Warriors have high Defense, it won’t do you much good to charge headfirst into battle without warning. Sometimes it’s best to fight smarter and not harder, save alone for Expert-mode worlds in which it is necessary to stay aware of your surroundings at all costs, and one wrong move could cost you, and possibly your team, a lot of coins! The Ranger is a master of bows and guns alike that likes to stay back and snipe. Rangers have high DPS, allowing them to dish out quick damage, but they are more fragile than Warriors. Rangers also have the option to branch to other sub-classes. A Ranger can gather materials to craft a Wooden Bow and some Wooden Arrows to begin their journey as just a normal Ranger. A Ranger can either skip out on a bow-and-arrow setup and explore the world to find some guns to begin their journey as a Gunslinger or branch to the Gunslinger sub-class as they progress. Gunslingers are just like normal Rangers, except that they prefer guns rather than bows! Gunslingers, unlike normal Rangers, have access to a powerful weapon called the Sniper Rifle, which can pack a serious punch when it lands critical hits. Of course, any Ranger can use the Sniper Rifle, but this weapon is best used by Gunslingers since they benefit more from guns. In the end game, Rangers have access to a ranged armor set called the Vortex set. Every Ranger will want to have this set by the time they’ve killed the Moon Lord, as they not only benefit from the set’s stats, but the set bonus allows them to cloak, which will increase their ranged ability, but slow them down. Unlike the Shroomite set, along with its respective helmets, this cloaking ability can be toggled. 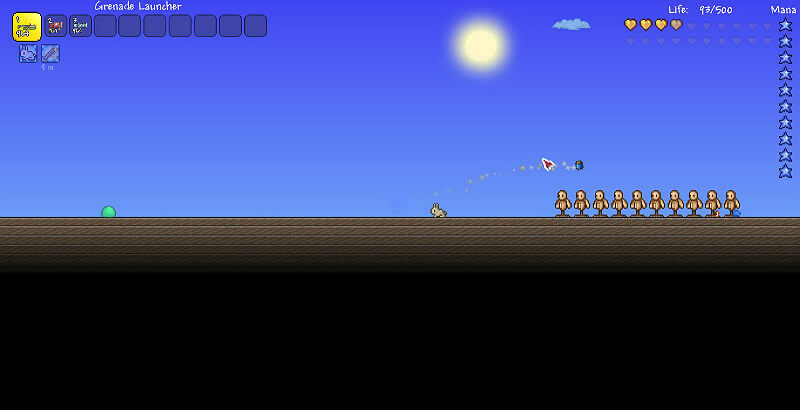 Another sub-class worth honorable mention is the Rocketeer, which is exclusive to Hardmode. Like the other Ranger sub-classes, the Rocketeer has its own advantages and disadvantages. One of these advantages is that the Rocketeer deals AoE damage, rather than piercing through enemies. AoE damage can smash through even the biggest hordes of enemies! The only disadvantage? Some of the Rocketeer’s weapons can hurt the user itself due to the fact that the weapons use Rockets, which are explosive, hench the reason why they can damage a Rocketeer as well as mobs. Rocket weapons work best when paired with the Shroomite Armor, along with the corresponding helmet for rocket damage. Any accessories that boost ranged damage will still work with these kinds of weapons. Too much information? To summarize, Rangers are agile and can rack up higher DPS at the trade-off of defense, but also can branch to a few sub-classes. The Mage is a powerful spellcaster that can effectively use Mana to defeat its enemies. Mages can cast spells from afar or close to enemies and will have high DPS by the late game, but their only weakness? They tend to be squishy in terms of defense, only surpassing the Summoner. The first magic weapon a Mage should obtain is the Water Bolt. 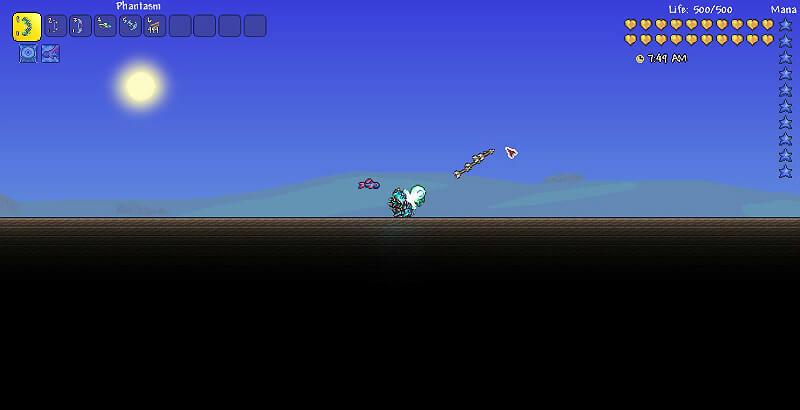 The Water Bolt can be pretty powerful to have in the early game, and allow them to shred through some enemies quickly. If the Water Bolt isn’t available, look for the Wand of Sparking in wooden chests on the surface. The first few nights for a Mage will not be so easy. Since a new character only starts out with 100 HP and 20 MP, it would be fairly easy for a Mage to run out of Mana quickly, as well as be overrun by Zombies and Demon Eyes, leading to a quick death. 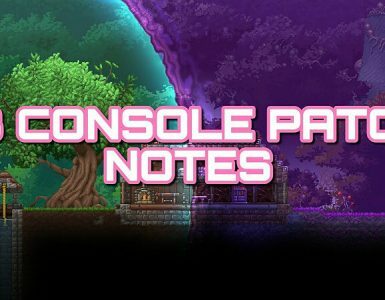 But as they progress, they will find it easier to survive as they will also have access to the Jungle Armor before Hardmode. In the end game, however, Mages may have access to a powerful weapon called The Last Prism. This weapon is rich in DPS, but very Mana-consuming, meaning Mana (and possibly Mana pots) will deplete fairly quickly. Mages will want to obtain armor that benefits Mana or magic damage, as they will need a good amount of both. The optimal emblem for a Mage is a Sorcerer Emblem, which will increase magic damage by 15%, further increasing to 19% with the Menacing prefix. Other accessories affecting mana or magic damage should also be used in a build. Mages are awesome DPS-powerhouses, but are poor on the defensive side. 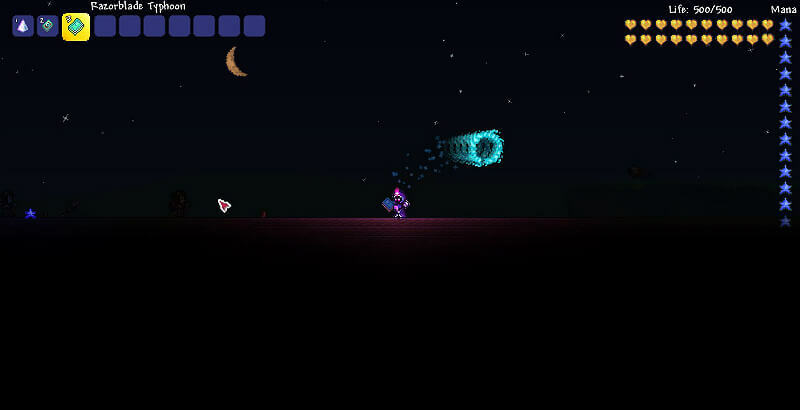 The Summoner is an all-purpose fighter who doesn’t attack with weapons, but rather summons monsters to fight for them. Summoners can dish out decent DPS, but are a little more advanced than other classes, due to the fact that they have to farm Slimes for their first summoning staff, the Slime Staff, which has a drop rate of 0.01%. The Slimes themselves are common, so it should be fairly easy to farm them. 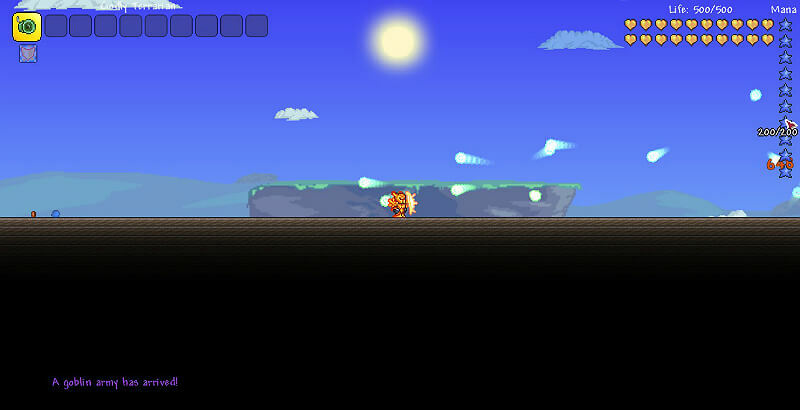 The Baby Slime itself, however, can only attack ground enemies, so you will need a ranged summon to counter this. 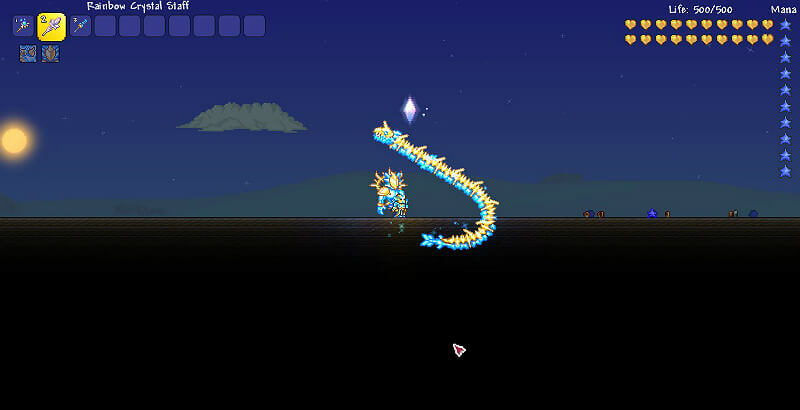 In the late game, Summoner Terrarians can obtain the Stardust Dragon Staff, which is arguably one of the Summoner’s most DPS-efficient weapons they can obtain. The dragon itself extends rather than being duplicated, which in return gives it more DPS for each minion slot you sacrifice for the Stardust Dragon. 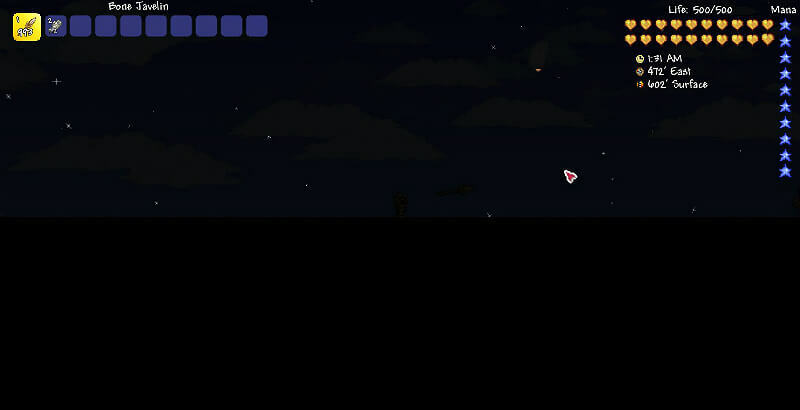 Summoners arguably have the lowest defense in Terraria, hence making them very squishy in big boss fights. To counter this, they just have to dodge the boss’ attacks while their minions do the dirty work. Summoners rely on their minions to survive, so any armor that benefits minions is crucial. 1.3 introduced the Summoner Emblem, which increases minion damage by 15%, further increasing to 19% with the Menacing prefix. Accessories that affect minions should also be used, as a Summoner will need all the help it can get. Summoners summon monsters to fight for them, but are very squishy in return. As its name mentions, the Thrower class throws its weapons. 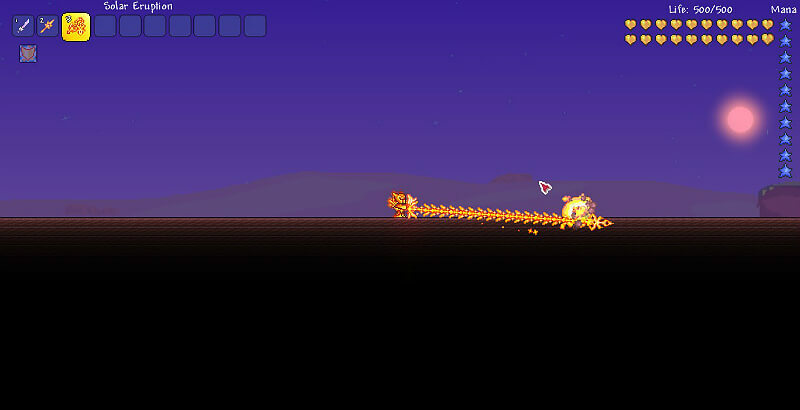 The Thrower is only effective in pre-Hardmode, as its weaponry, such as Shurikens and Javelins, could probably deal such low damage against Hardmode enemies that it would be laughable in Hardmode. Armor such as the Fossil Armor and the Ninja Outfit in its 1.3 form boost these throwing weapons, but not even the armor can defend against, say a Wraith, nor will a Javelin deal much damage. There are also accessories that throwing weapons will benefit from. Newcomers and/or early-game players should look for throwing weapons and the Fossil Armor or Ninja Outfit (pieces of the Ninja Outfit can only be obtained by defeating King Slime) and accessories that benefit throwing weapons to make the best out of becoming a Thrower. In Hardmode, Throwers might consider the option to branch to a core class or a sub-class. Throwers are great in the early-game and throw weapons, but become a lot weaker in the late-game, so it’s probably best to branch to other classes.